Exposition—The introduction of the story: setting, characters, back stories, plot lines, etc. Complication—Rising actions that lead to the key elements of the plot. These are the parts of the story that carry throughout. This is the most important part. Climax—A turning point for the main character(s). If things were good, they go bad; if they were bad, they go good (so to speak). Reversal—The moments/actions that lead to the final resolution. Denouement—Final conflicts are resolved in a cathartic release, or maybe something less than that, but release, nonetheless. Exposition—Encyclopedia Atlantica, a failing print encyclopedia company, starts getting an unaccountably large number of orders. Complication—The CEO of the company issues instructions to buy more paper, which drives the wood market, which drives the futures market. Climax—The production increase requires more trucks to deliver encyclopedias to customers, but—oops! Reversal—It turns out that, unbeknownst to the company, a baby was hitting an Encyclopedia Atlantica “buy” button repeatedly on its website. Denouement—Buy Adobe Digital Marketing so you can find out who is actually buying. That’s how you solve this. Release. Am I advocating for the use of Freytag’s Pyramid in your marketing efforts? No, but it is a helpful framework for how you can go about constructing a good story. Even simple stories can work. As you’ve probably noticed, I’m a conversational writer. I like to tell stories and corroborate my suppositions by providing data to back them up. I am also a fan of identifying use cases that support an approach to doing something. But if you put all these things—case studies, data, and use cases—into a bigger picture, all of them support one thing: furthering a narrative. Ultimately, everything we do in business, from marketing to sales to customer service, is a means to develop, sustain, support, and further a story that each party in the conversation is comfortable with, allowing them to continue the interaction. As a customer, that means I would trust the company to show me, via the case studies I receive, the use cases I read about, and the data provided, that they understand my needs. But when I say “my,” I literally mean my individual needs, not just the company I represent nor the demographic I am a part of. I will respond to signals that indicate that you are giving me something I value, such as a real-life example of how well something was done using this product. By telling me the stories that help me decide what I need to do, you’re showing me you value me. An iconic product marketing video in 2011 by Corning Glass, called “Corning: A Day Made of Glass,” has had more than 26 million views, and what makes it so special is that it tells a story that anyone watching can relate to. A family “in the near future”—from the time they wake up and do their daily work and routines, to the time they get home and eventually go to sleep—is shown using touch screen displays on glass surfaces of varying kinds. The genius of the video is that not a word is spoken the entire time. The only sign of “advertising” is that each kind of glass used is identified with its name and a tag line (e.g., “Photovoltaic Glass: High Efficiency, Optically Versatile, Durable”). This goes on for five-plus minutes set in a future we didn’t have in 2011 and now have only parts of. It reaches each of us because we can see that the life depicted, while not ours or anyone’s outside a lab or Epcot Center right now, is a life that we can have in a few years—with the implication, of course, that Corning will provide it. If you fail to tell a story, you fail to gain the customers who care enough about you to stay customers. 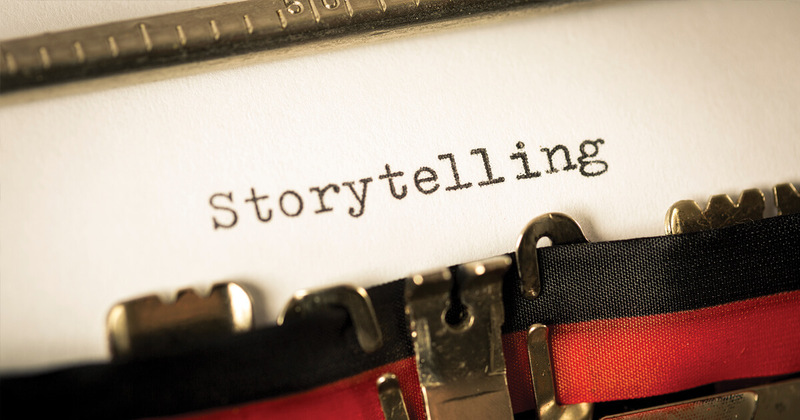 Stories are ultimately how a company presents its human side to the world and to their customers and prospects. Do it and you have people who are interested in your company. Get the picture? Paul Greenberg is managing principal of The 56 Group, a customer strategy company. He is the author of CRM at the Speed of Light, which is in nine languages and is currently in its fourth edition. He is also the author of the upcoming The Commonwealth of Self Interest: Customer Engagement, Business Benefit (2019).